Study painting, costume, furniture, and monuments in terms of artistic and social value, and take field trips to museums and galleries. 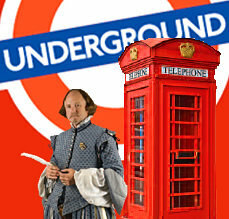 Study Shakespeare where his famous plays were debuted. Trace the evolution of comedic forms, and analyze the various contemporary genres. Visit sites around the city, and plan and execute a small sociological study of London. I recently got to “live the dream,” which is the way I refer to my post-Ithaca life. After graduating from Ithaca College, I decided to participate in the British Universities North America Club (BUNAC) Work in Britain program and resided in the charming area of Dulwich, southeast London, for six months. I always knew I wanted to do something different after graduating college and feared I would be full of regret if I didn’t challenge myself with a new experience. But I never would have had the courage or the confidence to make this bold move if it weren’t for the semester abroad that I spent at the Ithaca College London Center (ICLC) during my junior year. Like many young Americans, I didn’t have an opportunity to travel abroad until I arrived at college. I discovered that for roughly the same cost of a semester at IC, I could study almost anywhere in the world. Through the ICLC, I could take courses taught by British faculty and not incur problems transferring my credits. London’s diverse, metropolitan feel and cutting-edge fashion, music, art, and club scenes also make it a popular study-abroad destination. Because the UK is an English-speaking nation and many American expatriates live and work in London, it’s easy for American students who study here to fall into the trap of not venturing outside their comfort zones. The staff is aware of this and makes sure that each student becomes a proper Londoner. Unlike other programs where students are housed in dorms or a school-owned building, IC students must rent a flat. For many of us, this was our first experience with landlords, paying rent, and living on our own in a city. Bill Sheasgreen, director of the ICLC, was extremely helpful in this process. He and his staff were always there to offer assistance and advice to help us make the most of our experience. Students also have the chance to take an internship for credit in a field they wish to pursue. This is a great opportunity to meet Brits and experience a work ethic and dynamic much different from those in America. I gained invaluable experience scouting new and emerging talent as an intern for a record label. I helped find new artists for the label to sign by attending concerts and listening to demos and then giving feedback to a great manager who truly respected my opinion. Other Ithaca students also had positive internship experiences at places ranging from Parliament to publishing houses. My time in London wasn’t all work and no play. We did have classes, but they weren’t scheduled on Fridays, which left three-day weekends open for travel. Air, rail, and bus travel are cheap and convenient from London. I was lucky enough to travel on ICLC-subsidized excursions and independently planned trips with friends, visiting places like Italy, Paris, Edinburgh, and Liverpool. 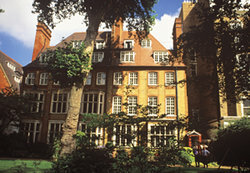 The ICLC also offers walking tours of different London neighborhoods on a regular basis. All the tours are led by Bill, who has an incredible wealth of knowledge and makes the history and culture of London come alive at every turn. When my London semester ended, I was sad to leave but was beyond satisfied with my experience. After living independently in another country, I had a heightened confidence about what I could achieve. Members of the ICLC staff, who themselves had participated in BUNAC, encouraged me to try the program after graduation because they knew I was considering an alternative postgraduate experience. The Work in Britain program was exactly the exciting and challenging experience I had hoped for. 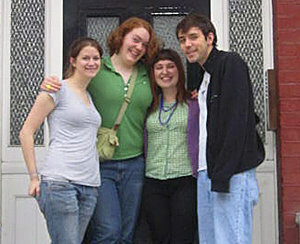 I lived with British friends and worked in public relations while gaining a more global perspective of life every day. Being in London for the second time was nothing short of amazing. As my visa was winding down, the prospect of once again leaving London was bittersweet. Now that I’ve been back in the States for a few months, I can see what a positive impact the experience had on me. 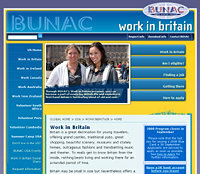 Potential employers are consistently impressed by people who have studied abroad and participated in programs like BUNAC. I know that my work experience in London has helped me further my career in public relations and the music industry. I hope to return to London in the not too distant future either for graduate school or for work, but for now I’m content to look back fondly on all of my amazing memories.